The rare book that is truly versatile, begging for use as a coffee table book, a classroom textbook, an office teambuilding tool, a party game and/or as solo entertainment. Once Upon a Pancake is what you make of it. 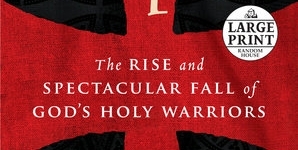 On its own, it initially appears to be an attractive yet unfinished volume. 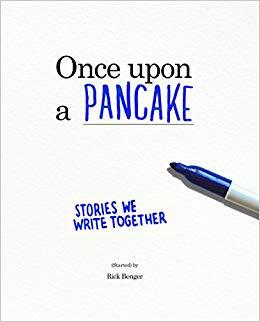 The cover even caveats its authorship, claiming to have been “(Started) by Rick Benger.” However, if engaged even halfheartedly, the wonders of Once Upon a Pancake begin to reveal themselves. It is the rare book that is truly versatile, begging for use as a coffee table book, a classroom textbook, an office teambuilding tool, a party game and/or as solo entertainment. Created and released by author Rick Benger via Pfannkuchen Press and supported by a successful Kickstarter campaign, Once Upon a Pancake contains the opening lines of 122 original stories. Some of these beginnings are nearly entire stories on their own, while others are as brief as “Sailing with Ryan Gosling” and “Satan was running late, as usual…” A slicker, more collaborative take on “Mad Libs,” Once Upon a Pancake encourages its readers to not only finish the stories it has started but to do so in collaboration with friends, family and colleagues. The story prompts are accompanied by striking imagery, a mix of original work and other, curated content. Perhaps the most important element of the artwork is how unobtrusive it is; while some get the creative juices flowing, none are overly directive, leaving the page an open canvas for the reader. 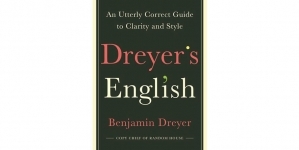 Benger’s words, on the other hand, do direct readers, but the author does an immaculate job of balancing his own sensibilities – which lean towards the zany, whimsical and gently sarcastic – against the necessity for readerly autonomy. The imagery and words interact seamlessly, and, in fact, one of Once Upon a Pancake’s more charming components is the way it encourages readers to engage their artistic side, inviting them to draw Polaroids, graffiti and even superhero symbols while finishing their stories. This is particularly smart in that it allows any reader to add an even more personal touch to their copy of the book while also providing an outlet for any collaborators with a more visual style of expression to engage in the process. All of this would be enough, but Once Upon a Pancake has a few additional tricks up its sleeve that make it an even more engaging experience. 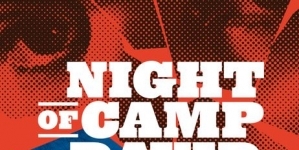 The canny reader will find that several of the story prompts are linked, and the stories that emerge from these bits are particularly satisfying. 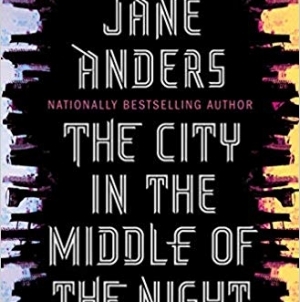 Through the reader’s agency, these connections can become eerie, heartening or even obvious, making the whole book feel like one larger piece. In this way, Once Upon a Pancake is an exemplary mixture of restraint and boldness, appearing hands-off while guiding the engaged reader to a deeper experience. Once Upon a Pancake is the kind of project that you hope takes off in a big way, as it has the potential to grow. Follow-ups seem obvious, particularly those with a more focused audience, such as wedding guest books or graduation parties, as well as more reusable incarnations, perhaps as a “Cards Against Humanity”-style game? But there is also a lot of potential in the digital space. One of the stories invites the reader to write a tweet, and this is just a hint of the digital activation that Once Upon a Pancake could harness. All in all, Once Upon a Pancake is a satisfying experience as an individual reader and in groups. It is a book that a person can confidently give as a gift, yet also doubles as a game night asset. It is an incredibly fun, versatile and satisfying experience, and it begs for further incarnations.